The resolution of today’s VR headsets might sound high on paper, but because the image is stretched across a wide field of view, resolution in today’s headsets is still significantly lacking compared to what you’d expect from a typical computer monitor, and even further from what the human eye is actually capable of. In most first-generation headsets it’s easy to see aliasing and the ‘screen door effect’—a grid-like artifact that’s caused by the unlit space between pixels. With enough resolution, VR headsets could eliminate both issues completely. 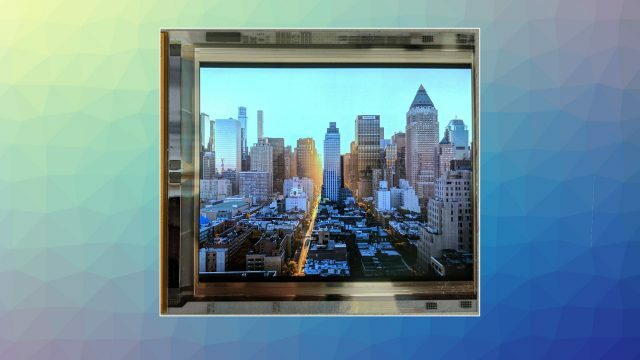 Display companies are racing to create ultra dense displays which are also inexpensive enough to go inside consumer VR headsets. In the last few months alone Samsung showed that it was developing a 3,840 × 2,160 VR display with 1,200 pixels per inch. Meanwhile, Google & LG revealed a 4,800 × 3,840 display with 1,443 pixels per inch. And then there’s INT who is promising a display for VR headsets with a staggering 2,228 pixels per inch. 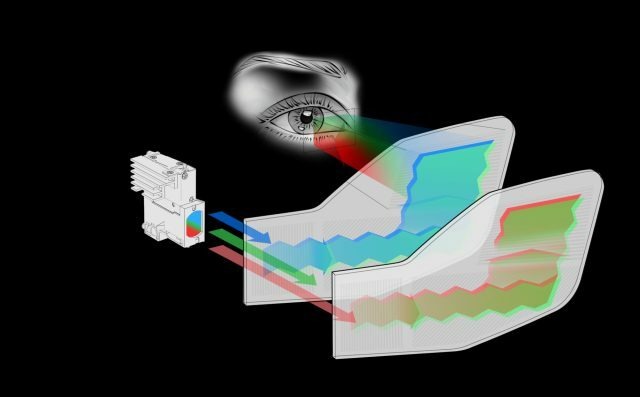 Ultra dense displays may not be here just yet, but Varjo has created a promising shortcut to achieving retina resolution in a VR headset by using a combination of macrodisplays and microdisplays to put high density resolution at the center of your view without giving up a wide field of view. While most VR headsets today use one display per eye, Varjo’s ‘Bionic Display’ headset actually uses two. The first display offers a fairly standard resolution compared to today’s traditional headsets, but the second display is a pixel-dense microdisplay offering 60 pixels per degree. The image from the second display is projected directly in the center of the first display, putting the pixels smack dab in the place where your eye sees the most detail. The result is pretty impressive: a headset which has an immersive field of view, but also retina resolution at its center where you can’t see any pixels or screen door effect. Of course, the peripheral area is standard resolution so if you turn your eye you’ll lose the benefits of the high res display, but that’s a small tradeoff for the opportunity to see retina resolution in a VR headset today, instead of years down the road. The company is also investigating methods for moving the high res display using eye-tracking input so that you see the maximum quality no matter where you look. Varjo is targeting enterprise use-cases with its Bionic Display headset, but the company has largely proven a novel display design which could find its way into consumer headsets in the near future. AR headsets today can be made fairly small, but generally have a small field of view to match. While ‘bird bath’ style optics (like those in Meta or Project North Star) offer a large field of view, they are necessarily quite bulky. It will take a different approach to achieve the ultimate vision of AR—a device offering an immersive field of view in a truly glasses-sized device that can be worn all day. DigiLens, a developer of transparent waveguide display technology, says it’s working toward a waveguide display which could bring a 150 degree field of view to AR headsets in a truly glasses-sized form factor. The company’s approach involves ‘printing’ light manipulating structures into thin and transparent material wherein light can be guided along the optic and be made to project perpendicularly, forming an image in the user’s eye. With such precise manipulation of light, the optic effectively acts as both the lens and the display, opening the door to significantly more compact optical designs than what’s found in most AR headsets today. What’s more, DigiLens says that the tech could be paired with a light blocker or even a liquid crystal blackout layer (to make the optic opaque), enabling a single compact headset to be capable of both immersive AR and VR. 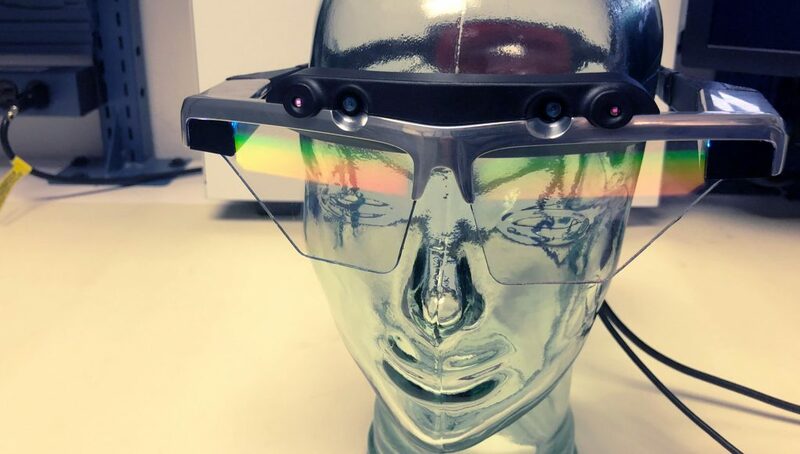 DigiLens has already developed a AR reference headset with a 50 degree field of view across both eyes. Using a technique combining multiple layers of the optic for a wider field of view, the company expects to be able to achieve a 150 degree field of view in 2019. I’m most excited about the Pimax 8K, I had been assuming it would be a couple years before a Pimax was worth considering but it now appears they are coming much closer than I thought. I’m looking forward to finding out more about it soon. let’s just wait for the actual reviews of multiple reviewers before going to glorify the Pimax 8K, on paper it may sound great, but in reality it might turn out different. Their 4K headset also looked good on paper, but in reality it’s a very flimsy build device and not so good (ok, I really hope they’ve learned from that). I was about as optimistic as you regarding the Pimax 8K but reading between the lines that SweViver is not saying about it–I get the feeling it is a compelling device with flaws and a bit closer than I thought it would be. This. Most likely the Pimax will not have the same build quality, robustness and refined UX as the PSVR or the Oculus Rift/Go. In theory they may have conceived a product capable of very high resolution but getting it into a very usable product that will last long and not break apart after handling it a week or two requires a lot of money and the correct business connections with excellent manufacturing partners. No, Leap Motion requires your hands to be within a certain space. A ring would register your fingertips even if they relax by your hips or even inside your pockets. Resolution is definitely a number one priority in getting closer to that sort of “real life” experience. Varjo seems very promising as is the Half Dome project from Facebook. Personally, I’d put FOV and wireless above resolution, but yeah it’s up there. I wouldn’t say it’s number 1. People live in real life without glasses all the time. They can’t see clearly and still live fully. Watch what happens when you tie a person to a rope though. Personally what I want is wireless, increased FOV, reduced bulk and better controllers, “Possibly the knuckles controllers”. Resolution is great, but I think there is a reasonable increase they can do to PPI while still making the overall product significantly better and not just catering to brute forcing the resolution. Give me the ability to spin around in my play area, give me the ability to use my peripheral vision without hurting my neck after playing Skyrim for 30 minutes. Let me feel like I’m closer to the VR world by making my hands a more immersive part of it. Definitely agreeing with neboslo and Sand Wich here. Resolution doesn’t matter after Vive pro/Samsung odyssey level. It’s decent enough. Wireless and FOV impact WAY, WAY more than an increase in resolution. The only reason resolution is such a big deal, is because bad gaming “journalists” decided that “screen door effect” was cool and hip to write about. It was never a big deal for me, not even with the original Vive. Second generation SteamVR headset with Knuckles and Valve’s VR games…not much to ask? Tetherless is a deal breaker; whether integrated or add-on system, I won’t use buy another tethered headset after the freedom of using the new standalone headsets. This article makes me look forward to the future. Pretty much all I can say. There are a couple of things that I’m critical about or not completely sold on, but at the top of the “most acquirable” list, I predict that general optimization is what’s going to be the most appreciated; Better tracking, resolution, FOV and the likes. I think those aspects are going to go a little underrated during this hype cycle. Yeah. Magic Leap has been an interesting one to watch. Masterclass in building hype, then a masterclass in completely exploding it and watching it slowly spiral down the drain. It has the feel of an underwhelming product just waiting to flop. I’d be super happy to eat crow on that if it turns out great – I was initially excited by its promise and super-secret-showings to journalists – but it just…doesn’t feel like it will. Magic Leap is one of those companies I group into the category of “it would be cool if it worked out, but I don’t see it likely to happen anytime soon”, along with Virgin Galactic and Bigelow Aerospace. I have no idea why people think augmented/mixed reality is going to become a landslide product, I must be missing something because I watched the entire world outside the first hype video forgetting the next day that Google Glass was a thing. Idk, maybe I’m being naive.. Augmented reality’s hype train has been built on things like pointing your phone and it labels different streets/businesses with a HUD and it’s tbh kinda cool and I can see it’s uses in the future, but I’ve found that people resist effort, and will likely just favor google maps instead of looking like a goof and wearing bulky glasses/pointing their phone everywhere when they’re traveling. Auhg… What would I know I’m no expert.. I’ve gotta be missing something or people wouldn’t be talking about it so much. Right now AR is mostly just gimmicky rubbish imo (the kind of stuff you’ve said), but VR is already pretty frikin’ brilliant, and that’s just the first generation of VR headsets. AR/VR–and they will inevitably converge into single headsets I’d say–is going to be absolutely huge in so many ways going forward. You’d have to be rather blind or just completely out of the loop to not be able to see the huge potential for these technologies in both the near future and certainly beyond. 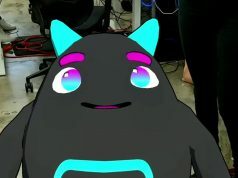 I don’t see much potential in AR or MR over VR in the near future, but I agree, decades down the line AR/MR might be something really cool once the technology has evolved. Will it be mass adopted though?.. Time will tell. Someone mentioned AR inside car windshields of the future, that does sound pretty cool, if not extremely dangerous. But who knows, we got self driving cars being tested with decent results, no reason why that can’t be tested either. Who knows where the human race will be someday. AR/MR is the next big thing, as now is normal for you , to have a screen in your hand to watch through for everthing, in the future you will have some sort of ” vision system” to watch through for everything. the only thing without any potential is your brain. AR is the one with a future not VR. Why so? Well because AR will incorporate VR and will do both… then game over for VR. I said near future. You embarrass yourself when you act before you think. Might wanna learn to treat people nicer as well. I see a lot of potential in both AR and VR and work on apps and games for both. I see both in their early childhood days and get annoyed when some people want to talk by the doom and gloom of the technology because it doesn’t sell gangbusters in year 1-3, while yes, of course it doesn’t, with most other technologies it takes many iterations of stepwise improvements to reach massive mass market potential, no different here. I think it is also nonsense to talk about AR wins over VR or the other way round, they have very different main use cases where they excell at (and the other can’t match), so they both totally have their place. I’ve heard the thought brought up a few times that at some point there would only be MR headsets/glasses as in a single thing for both, and i’m not sure i agree to that as ideal target, because AR and VR are ideal in different use cases with different features for the headsets/glasses. Sure, for both they will become less clunky over time, but i don’t think them reaching the same form factor as end goal would be a sense making one. With AR glasses one wants them to be ideally almost like regular sun glasses, leave as much of your view on the real world not occluded as possible, besides the content overlayed on top. So ideally the glasses should be thin framed letting light/scenery photons “leaking” in intentionally in as much of your field of view as possible. With VR glasses though? You exactly don’t want that. You don’t want light and outside real world scenery view stuff leaking in, you want to be masked off from the outside completely, else that would totally break immersion. So hence i am not convinced a single form factor headset/glasses is or can be ideal for both at once. Where i see a nicer total and ideal convergence possible is with the controllers, i mean once in a few generations down the line something like the vive knuckles can be had with same 6dof tracking precision and speed (or at least very close) with inside out tracking with cameras on the headsets and controllers, one would not need base stations/external cameras anymore and then i can totally see something like a vive knuckles controller as a great input device for AR glasses, too. Sure, VR devices of some form have been around for a good long while (even way earlier than the 90s), but what we see as modern consumer VR headsets, what basically got kicked off with the Rift DK campaign, that is less than 3 years old as sold in consumer retail version now. We’re like at still first or second iteration for the controllers (next coming up with the knuckles and i saidf first or second because it depends on if you see the vive and rift touch controllers as gen 1 controllers or the vive ones as gen 1 and the rift touch ones as gen 2 and then the knuckles would be gen 3 =) ), and still basically at first consumer iteration of the headsets. So i find that most comparable to like in the regular console world when we got the first home consoles. Compare this short timeframe of modern consumer VR headsets on the market for less than 3 years to something like the phone industry or tv industry where over 40 years passed between first halfway usable consumer devices and it nearing a state where it feels pretty matured and is fully mass market globally and even to a degree where it has reached saturation and is settled until the next largescale breakthrough. Like this article shows, with VR and AR we’re nowhere close to that level yet, we have a bunch of cool content already and usable tech, but tech side it is clear there is a long path of stepwise evolution ahead, and contentwise, too most studios are at most 1-a few first vr titles in. It is an exciting journey to be on, one should just be realistic about it being early days and enjoy what one can have there now and look forward to the next progresses and don’t feel like it is doomed when it doesn’t sell gangbusters in its first iteration on the market for less than 3 years, there are many more iterations to come in hardware and sfotware and both sales and hardware and software will just progress on and on constantly with each of those evolutionary steps. Indeed. These are actually third or fourth generation HMDs. I have a VR headset from 2005 gathering dust in my cupboard of obsolescence. Cost me over $650 back then! I’d say it’s the “early childhood” of proper consumer-level VR. I mean, there were computers and stuff that were around long before any normal person could really afford them, but you wouldn’t talk about that as being when computers launched as an actual consumer device like VR now has. So this really is the first generation of consumer VR headsets, and things are only going to get better from here imo. Well, put it like this, VR headsets will inevitably start offering AR as a form of passthrough so you don’t always have to sit blocked off the real world–maybe you want to drink some tea or even just see your mate next to you in the same room when talking to him for a bit for example–and that’s what I say when I mean the will converge. Some people will still go off and buy AR-only headsets too, but I think VR basically needs to adopt AR to some degree to truly be practical and mainstream in the long run. I think the excitement is about the hardware entering a phase where it looks no different than a pair of thick sunglasses such as Ray-Ban Wayfarers. AR can quickly go from novelty to mass adoption once it reaches that stage. Even the larger headsets will gradually gain adoption after each iteration, at least in the private and professional settings, once the field-of-view increases and the current performance improves by 2-3x. Then we have the large display AR tech that’s in development, things such as car windshields, windows and camera + displays, which have practical application once they get the cost down. I figured this was it. I see applications for this far down the line but when I hear ppl talk about this stuff I often get the feeling people are excited about what’s around the corner, and what’s around the corner looks pretty average to me. That’s what had me confused, I started to think people were really hyped over a AR/MR headset over what I believe to be vastly superior VR. I agree with @disqus_pnD7Ia6NzD:disqus, people think AR will be huge once it reaches the point where headsets are slim enough that we can wear them comfortably all the time. It was a basic concept, but it showed promise. I think it’s plausible to think AR could reach mainstream adoption if it existed in this, “ultimate”, form while being just a basic pair of glasses, but this is almost Mass Effect fantasy stuff with much standing in it’s way. But when I saw people getting hyped over AR/MR, some even saying it’ll crush the VR market in a few years, I was legitimately confused. That made no sense to me, now I can kinda see they were just delusional, and it’s more about what the far future brings than what’s on the shelves next year. Jumping in late, I know, but Google Glass was not an AR device. It didn’t have head or world tracking, and without those, you don’t have AR; you have a head-mounted display. And phone-based AR is just silly. Right now the only true AR device is HoloLens, which I have tried, and it really is as awesome as they say; but it’s also heavy, bulky, and uncomfortable. If ML1 can do basically the same thing with a much more comfortable form factor, it’ll be a big step forward. And eventually, I really do think AR is going to be much bigger than VR — roughly on the same scale as smart phones are today. It’s that compelling. Yea I looked into it’s development more closely, it certainly isn’t feasible right now but technology will shrink, in a decade or 2 it may be an everyday wear. It might even replace the cellphone, as long as people adopt a pair of glasses for everyday wear that is. Whether or not it becomes bigger than VR… Idk. VR is a sealed environment that can simulate an entire game world already like Skyrim/FO4, and it’s only going to get significantly better from here on out. But the same could be said for AR as well. It really comes down to how far can each technology go? Is VR limited by it’s own nature while AR, “in the much longer run”, capable of doing what VR does just as good, but then so much more? Hmmm… I’ll keep my eyes open, but AR is a long ways off at least for enthusiast use of being better than VR. It may be that in our lifetime VR is the way to go, as AR might not reach it’s potential until our generation is over. But by then AR would be accomplishing what VR is doing right now anyways, so it really doesn’t matter that much, as long as this technology continues to evolve, it’s better for all enthusiasts. I look forward to the Cv2. Hoping it’s 160 and not 140. 140 would be dumb. 160 would be acceptable. The Pimax 8K is 170 with no edge distortion, 200 with minor edge distortion. If I’m not mistaken that 200 degree measurement for pimax is a diagonal measurement. The 140 degrees for the half dome is the horizontal measurement so they’re not too far off from each other if you do the calculations. It’s 200 across and not diagonally . That was just a graphics error in a video. On the pimax subreddit everyone says it’s 200 diagonally. Sweviver (who was one of the recipients of the prototype) also said it’s 200 degrees diagonally. With the way the display and lenses are configured I don’t think it’s physically possible to get 200 degrees. I just tried it a couple weeks ago. It wasn’t scientific but it was so much wider than the frame of my glasses. I think the 170 option is probably fully acceptable as well. The pimax I saw last year was really wide and also had a lot more vertical than my vive. It had a lot of rough edges but was promising. They said the half dome proto isn’t cv2 and the tech that was part of it will not appear for a very long time. Ehhh they said that all of the tech in the prototype wouldn’t appear in CV2. I’m guessing the wider field of view and eye tracking will be in Rift 2 but not the varifocal display. Eye-tracking will be truly groundbreaking! Not only will we enjoy better graphics on standalone HMDs, it will also make high pixel density displays possible, which otherwise would take years until an affordable graphicscard could run them. I didn’t see it mentioned but 5G-based VR streaming seems interesting. If 5G truly delivers the low-latency + high-bandwidth solution it promises then it might be possible to have stand-alone VR hardware that is much cheaper than today’s tech because it doesn’t require the expensive and bulky high-end tech to process and render locally. The reduction in cost could also allow for better hardware in regards to FoV, eye-tracking and screen resolution without paying more than current hardware. Yup, definitely huge potential there, if it can be done. The scope of the article was looking at “projects that are likely to influence the VR and AR space in the next two years;” I think 5G VR streaming will be a little later than that since 5G will take quite some time to become widespread. Good point, it’s probably 4-5 years out at best. Outside of VR video and general application, i dont think streaming will ever be good enough for gaming, atleast not within 10 years. You just cant overcome the input lag. The future Magic Leap goggles look exactly like what the villains use in the movie The Incredibles 2. How embarrassing to have your product be characterized as evil in a movie that made $500 million domestically! Does anyone know if knuckles also track “finger separation/finger base rotation” or just the amount of finger curling? Hopefully PiMax 8k headset performs better than their 4k headset did. Does anyone know if knuckles also can track finger positions like a “vulcan salute” or similar, or is it just tracking finger curl? Short demo, but a decent show of the fidelity (especially when looking at the range of the pointer finger going up and down). It certainly isn’t 1:1, but more like it tracks each finger and there are different stages of animation to which it will assign certain ranges of finger motion. Looks like the old prototype though, so it might have improved since. It is understandable that they cannot track the full range of finger curling motion since the controller is necessarily preventing the finger from curling all the way into fist position and so the force sensor has to approximate that particular position beteen controller holding position and virtual fist position. But if they beyond that only has improved but still approximated pre rendered animations “oculus touch deluxe” instead of leap motion 1:1 true handtracking, and only limited to the finger curling, the knuckles “finger tracking” will still be really immersion-breaking. Hope Valve is smart enough to either fix this themselves, or implement Leap Motion to do the finger tracking from the headset which is working well, and keep everything else in the knuckles controller that is actually great: natural grabbing & throwing, force sensing, and positional tracking. Half Dome is okay, I came across DeepSee the other day and their approach seems to be the ticket for variable high focus with hi res and doesn’t mess with fov. also looks like a pathway to much smaller headsets since they’re using micro lens arrays. I’d pay close attention to what they’re working on and seem to have some smart folks on their team. I think half-dome looks great. If that came out as v2 (in some capacity, since who knows what all would actually make it over), I’d be thrilled. It is kind of weird to me that there are people out there who are underwhelmed by that. There wasn’t a lot of info up there in that link to DeepSee, but I’m always interested in more tech – I’ll try to dig a bit more later. But I also have a hard time thinking that a small company like that will be able to outdo a company backed with a team of 30 people who are literally some of the brightest minds in their respective fields. Not to mention being backed by the might of Facebook’s money. And again when realizing this team has been working on Half-Dome for 2+ years. 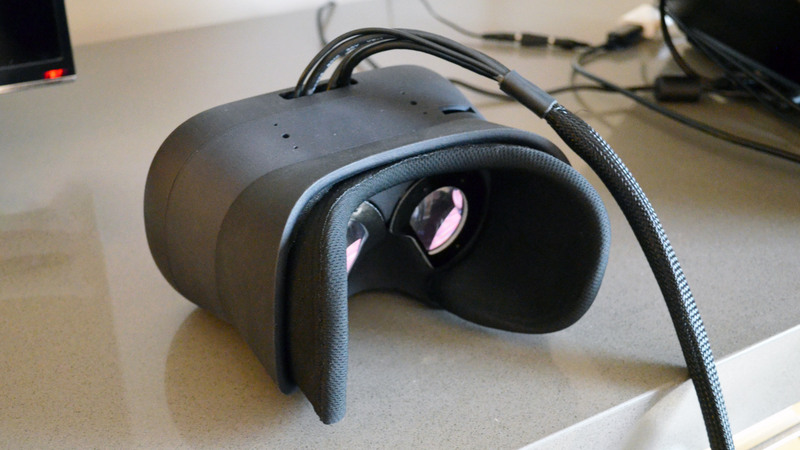 I couldn’t find a single video or image of an actual HMD from DeepSee either, so at this point it seems like their work is potentially still living in the theoretical/very-early-prototype stage – something like Half-Dome was closer to 2 years ago. Think about where the team that made Half-Dome could be in another two years. Not saying it can’t be done of course, garage startups have shaken up industries in the past, but it seems a little harder when talking about something as complex as this. Dont disagree with you at all. I’m surprised Oculus isnt using a similar approach bc i can think of a lot of advantages over the half dome, having done some optics work in the past. Time and resources are not a problem for Facebook and yes indeed they have hired plenty of eggheads to solve and perfect the presence issue with Virtual Reality. If there is indeed a startup that has access to amazing research and technology within this field then rest assured Facebook would be one of the first companies to know and would obviously absorb them into the company especially when you have one Mr Zuckerberg (VR fanatic) at the helm. Simply put whatever Facebook are doing in their labs is guaranteed to be bleeding edge; possibly even more than other major companies invested in this field such as Valve and Google. I appreciate that this doesn’t exactly fit with the thrust of the article, but just having the second generation of top tier HMDs announce is going to be a big deal for the fledgling industry. Early on, several players in the VR space talked about the expected life of HMDs to be in the cell phone range, which many people took to mean that we’d see refreshes ever 2-3 years, as opposed to the life expectancy of a console generation, which is in the 5-10 year span. But we’re now into the third year of the Rift and Vive and we really haven’t heard anything concrete about the next iterations of the hardware. 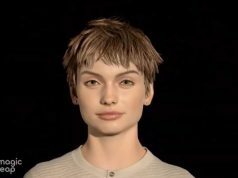 Getting to a point where we as fans and consumers have a better idea of how quickly we can expect the pace of the development of this tech to be, and also just that this is definitely going to be a next generation, seems to me like a pretty big deal, even if it’s mostly psychological. SteamVR ecosystem has something big brewing under the surface when you start looking carefully at recent updates and guarded reports from associated developers. I’d place a sportsman’s bet on SteamVR v.2 headsets announced in same time frame as consumer Knuckles and VR applications from Valve. It would not be out of character for Valve to launch their second generation with little to no warning…and for VR enthusiasts’ jaws to drop and minds be blown, like the early days of the Vive. What recent updates and guarded reports do you mean? lol guarded means its not meant for bloggers and writers to get hold of. console generation is in 5-7 years year span, not 5-10. I think Varjo is great but think its trying to solve a focus problem with resolution. There will be higher resolution screens in the near future but to read fine print or see well defined small objects its seems more like a focus issue? I would say multi-room tracking or very large space tracking.